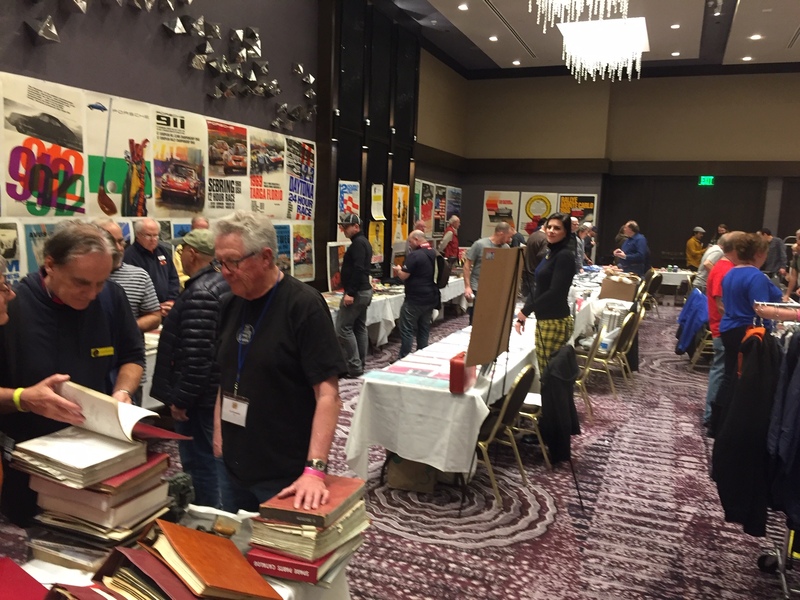 Just returned from Los Angeles and the LA Swap Meets activities, this event dates back 36 years, starting out as the VW / Porsche Literature & Memorabilia Swap Meet and it was held in a meeting room of a small hotel in the suburb of El Segundo. But over the years, the event has grown significantly, having moved to the very large LAX Hilton Hotel just outside of the airport. 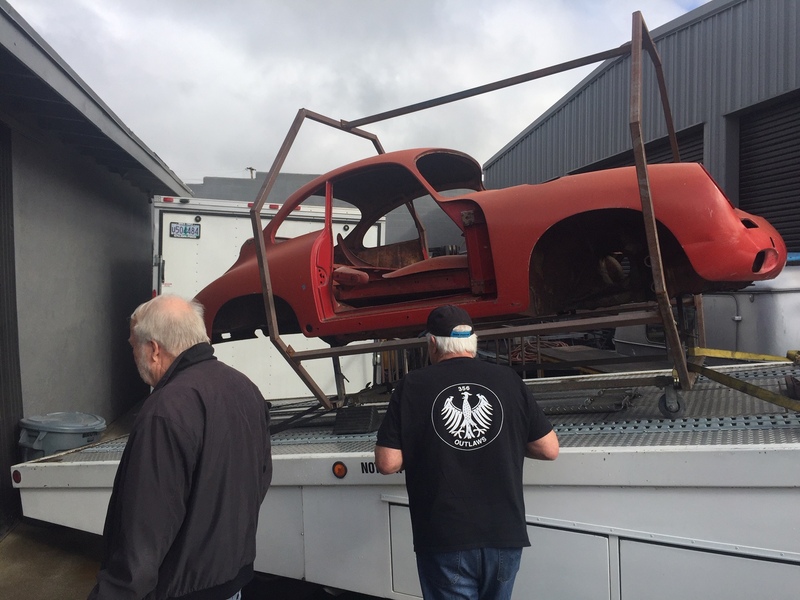 And the scope of this event has grown, as well, now encompassing four full days of activities, now sponsored and hosted by Stoddard NLA Parts. 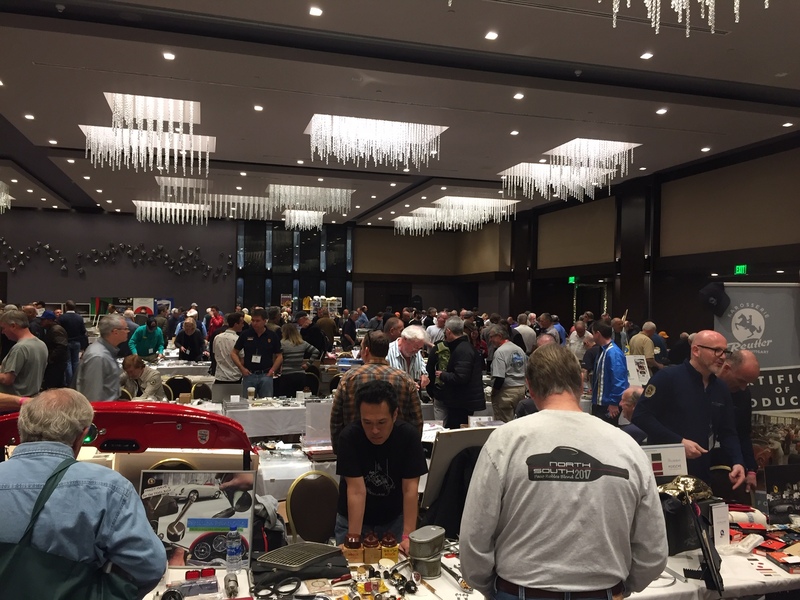 Still the primary event is the Saturday morning swap meet held in the very large ball room of the Hilton but there is also a Sunday morning outdoor swap meet and car corral held in Anaheim. 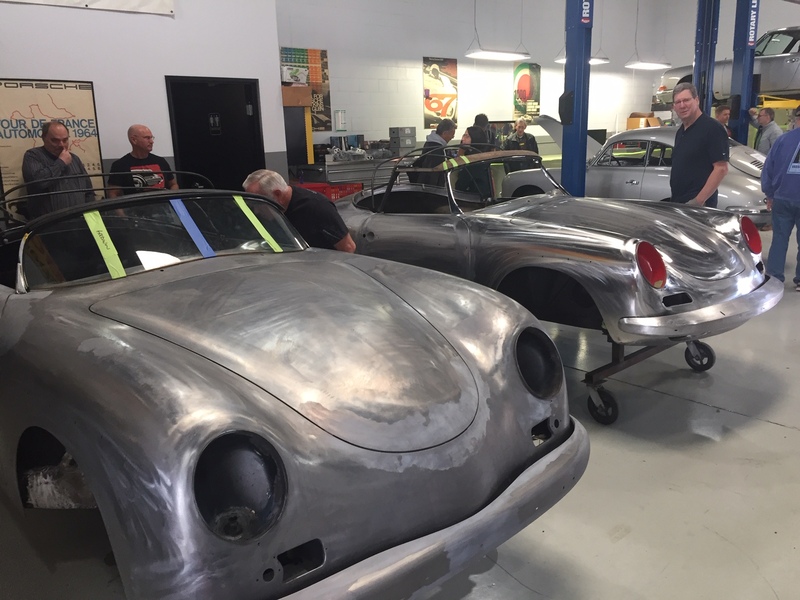 However, Thursday and Friday are filled with open houses from many of the best known Porsche parts & services suppliers located in the Greater LA area. The Stoddard folks hosted bus-tours of the various open houses and activities, although we choose to go it alone. The special Guests of Honor this year was Chuck & Cynthia Stoddard, it was great to see them there. Chuck has had some health issues but is on the mend and he and Cynthia attended nearly all of the activities. 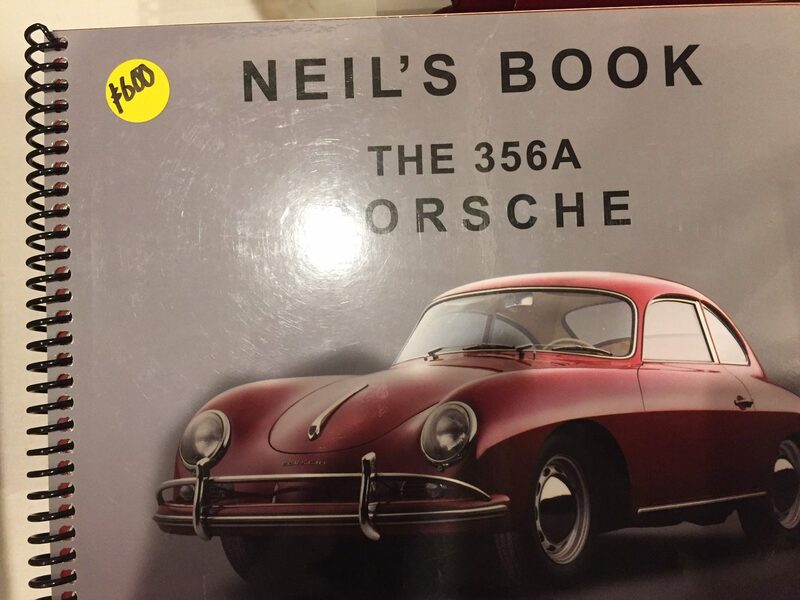 Chuck is responsible for the health and popularity of the Porsche hobby today. This year’s group included SEM members; Neil Goldberg, Dr. Joe Chess, Dave Renner, Bob Amano, Bruce Gearns, Don Munoz and I. We were joined by Dr. Dan Bird from Florida, Bob Smith from Phoenix, Tony Shaneen from Chicago and Dr. Mark Smedley from Sacramento. At various times, also joining us were Joe Jakubus from SEM and Marco Marinello from Zurich, so we had a van full. By Wednesday evening, nearly all of our group had assembled at the Hilton, so we started off our weekend with a dinner at Tavern on Main in El Segundo where we discussed our planned activities & schedule so that we all knew what we had on our agenda. Thursday started out with a “private” tour of the Porsche Motorsports facility located with the Porsche Driving Experience in Carson. 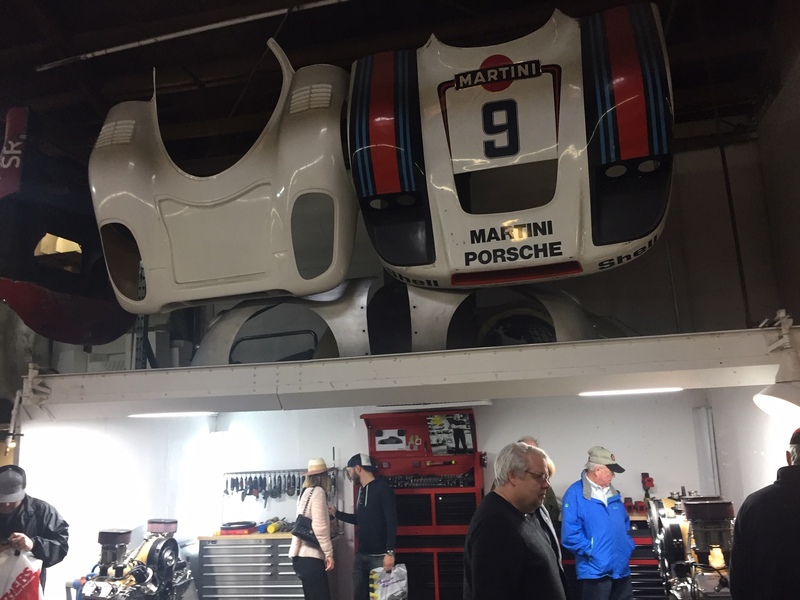 We were hosted by Erik Skirmants who managed this facility and you may recognize him as the son of long-time SEM member and Porsche racer Vic Skirmants. 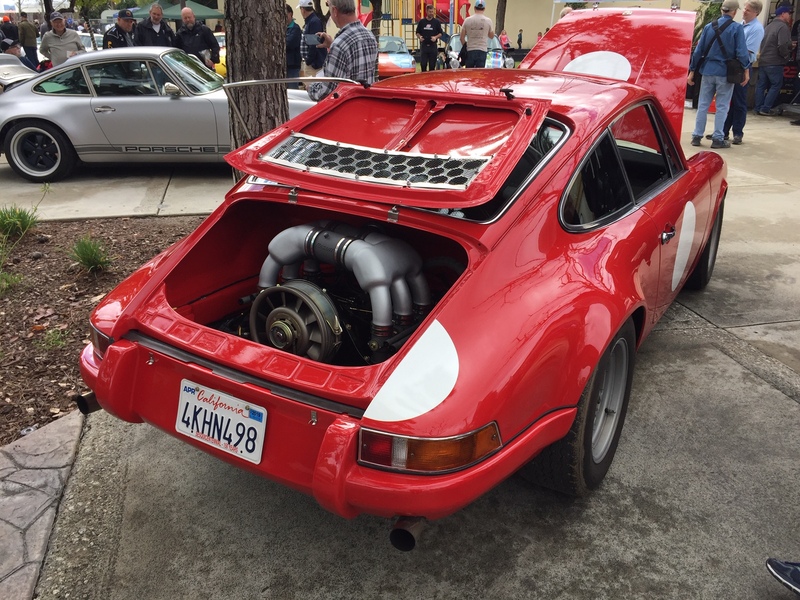 We saw Porsche race engines in various stages of rebuild, everything from a 962 engine for a vintage racer to the current 991 and GT4 engines that ran in the 24 Hours of Daytona in February. 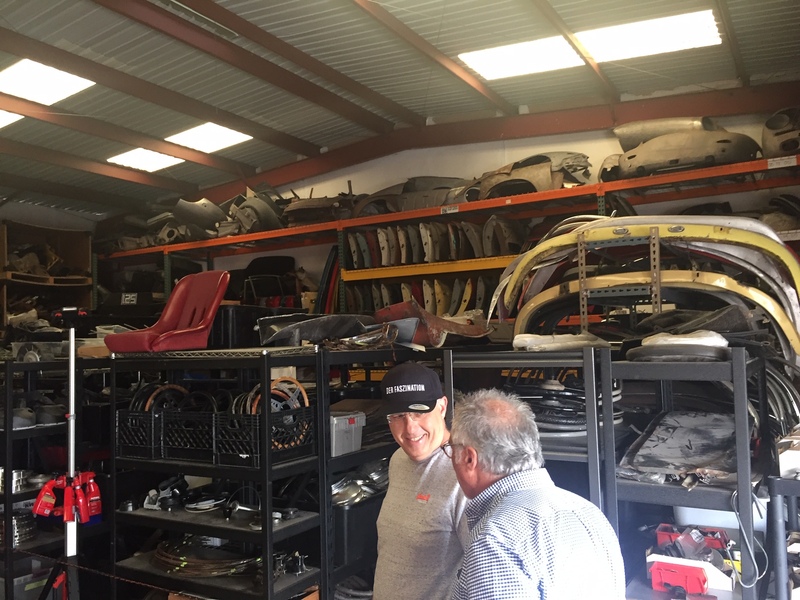 Our tour included dynamometer cells for both engines and transmissions, we saw the parts shelves with pieces for 911, 934, 935, 959 and nearly every model Porsche ever raced. Also in the shop were two new 991 GT2 RS’s being retrofitted with pieces to make them into 95% all-out race cars but for use in track-days or on private race track /country club settings. Just the kit, alone, will set you back a mere $135k and that’s plus the cost of the car, the labor to retrofit and the trailer to transport the car to the track. Obviously, for the serious enthusiast. Thursday afternoon was the open house at the Sierra Madre Collection in far north LA. It would be difficult for SMC to out-do last year when the city fathers agreed to close down half of Colorado Boulevard for the car corral, but they succeeded. 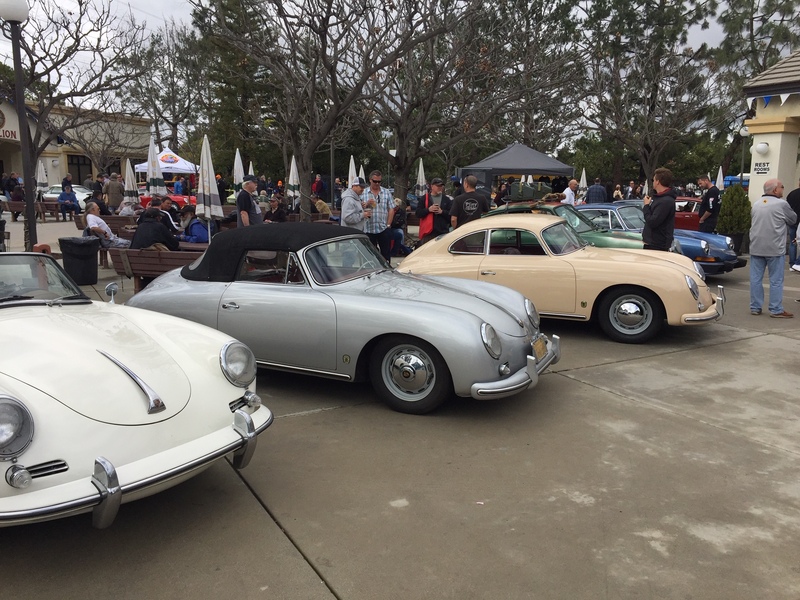 This year, they closed down the residential street along side their store and allowed Porsches to angle park and the spectators could mingle and admire the cars, numbering nearly 75. 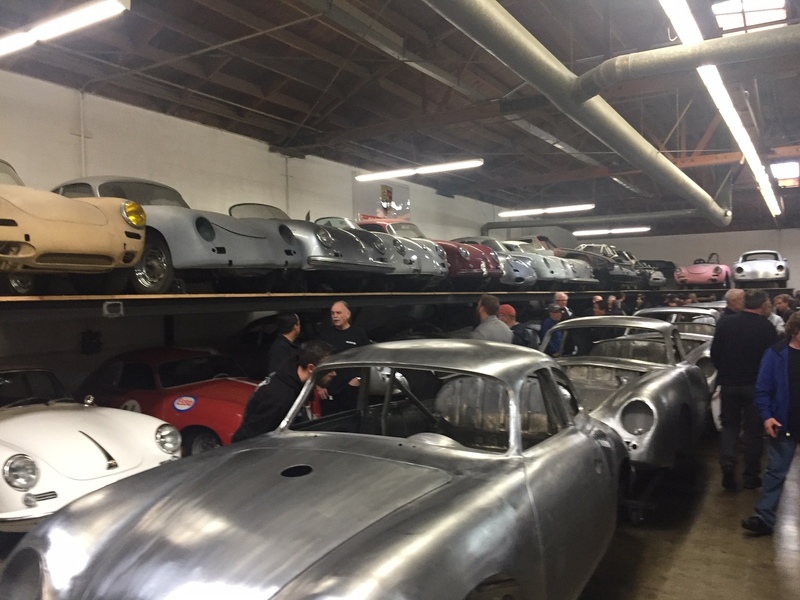 Afterwards, we still had time, so we headed to North Hollywood to visit John Esposito’s Porsche Repair facility. 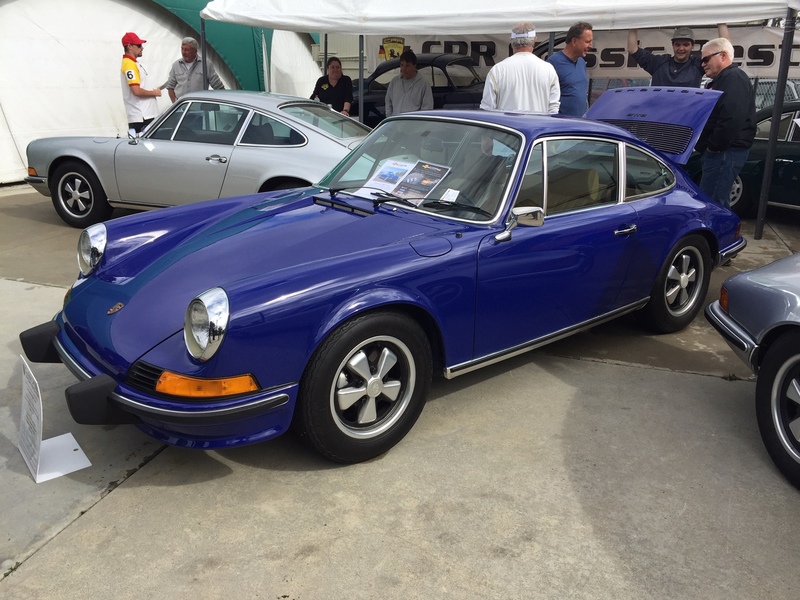 John is noted for some EXCELLENT restorations of early 911’s and we were TOTALLY impressed with what we saw, a well outfitted shop with lots of work-in-progress and more than a dozen customer cars on display. 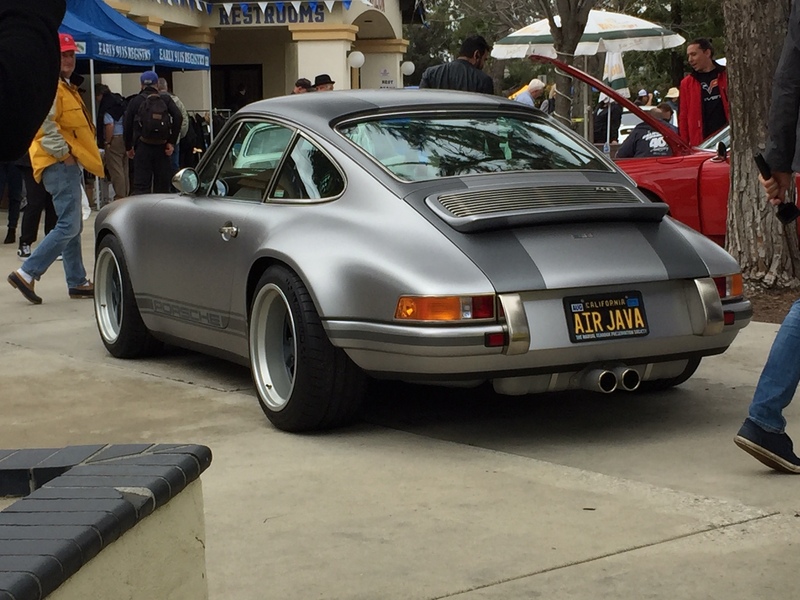 Friday was a visit to Costa Mesa and to Auto Kennel, a regular stop during our visits to LA. 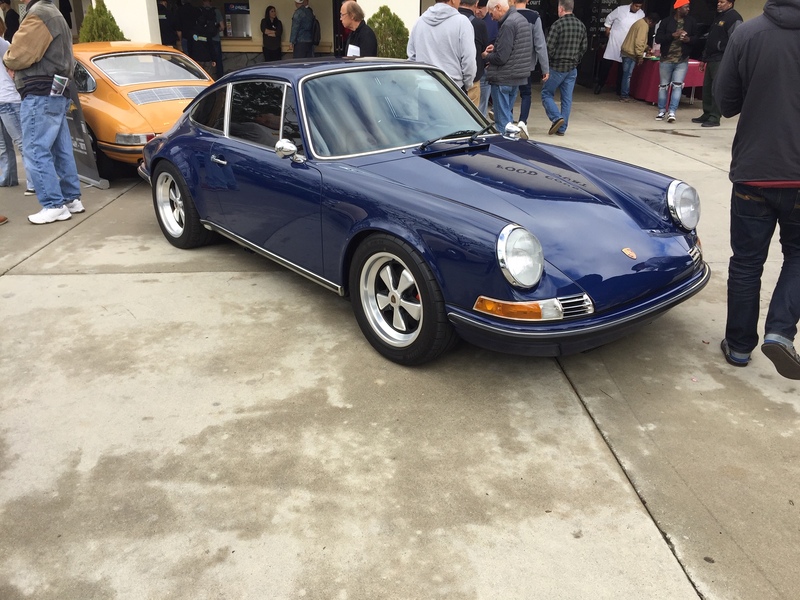 This is a smaller place with 6 or 8 cars for sale and some privately-owned Porsches for display only. 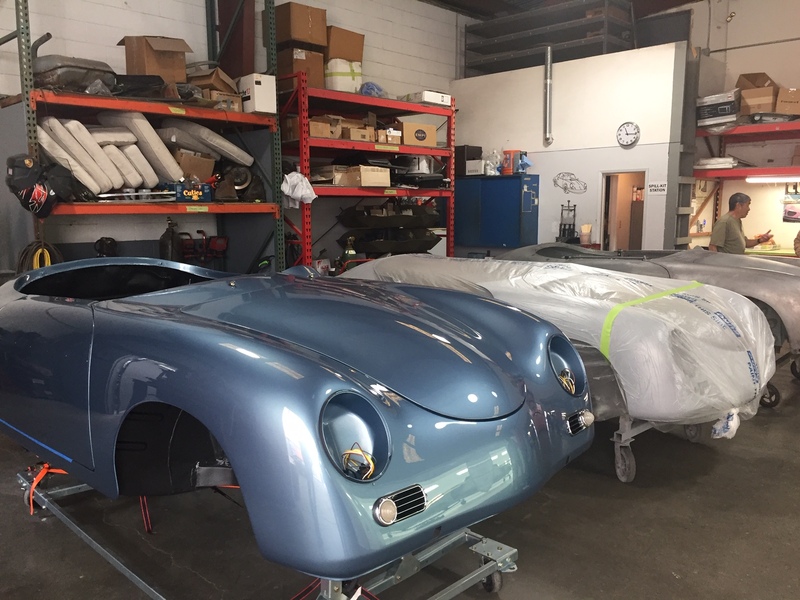 Next, we headed to John Willhoit Auto Restoration in Long Beach, unquestionably the finest restorer of 356’s and early 911’s and we were not disappointed with what we saw. 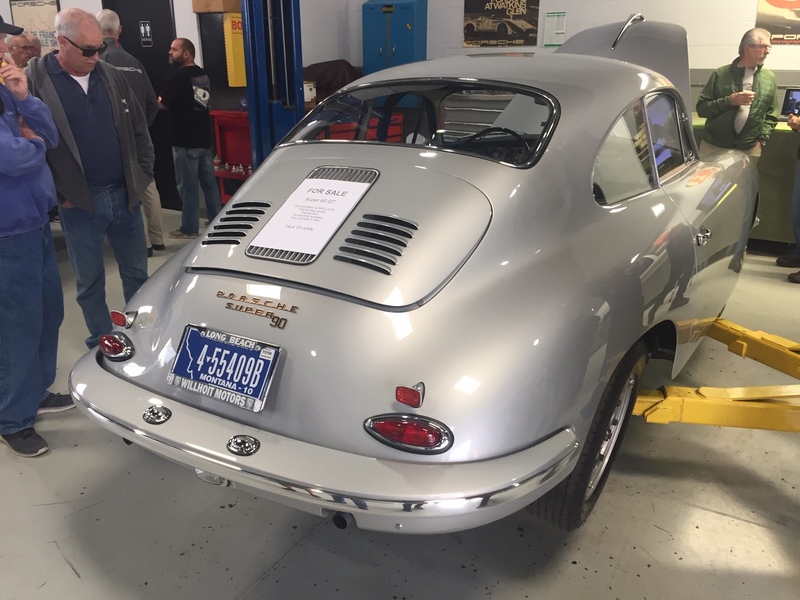 John has expanded his business to include producing very sophisticated 356 / 912 engines ranging up to 2.2 liter displacement with twin ignition and fuel injection and new this year was John’s new 5-speed transmission for 356’s. The crowd was huge and John had brats, soft drinks & munchies for all. 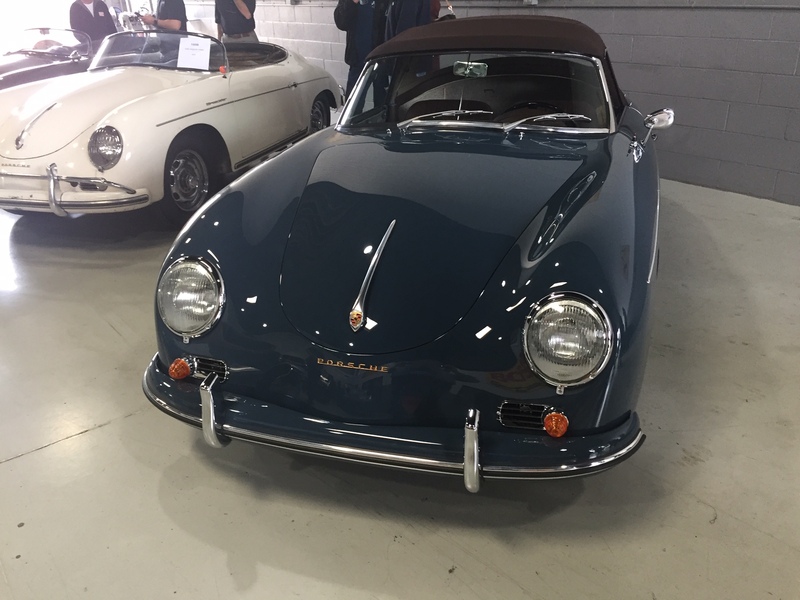 In addition to a few cars in progress were 12 or 15 completed cars on display along with a handful that were for sale. 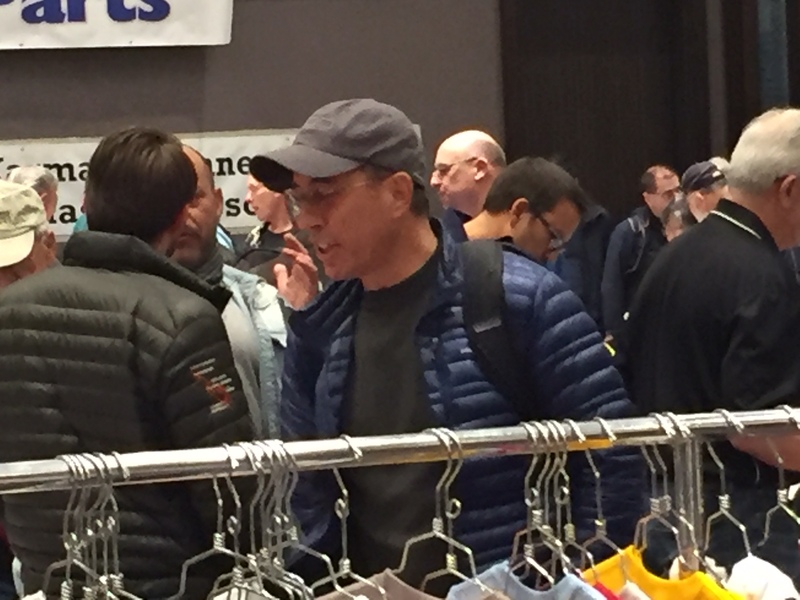 Saturday morning was the swap meet in the hotel, open at 7:00am for the early-birds, and every possible vendor space was taken. 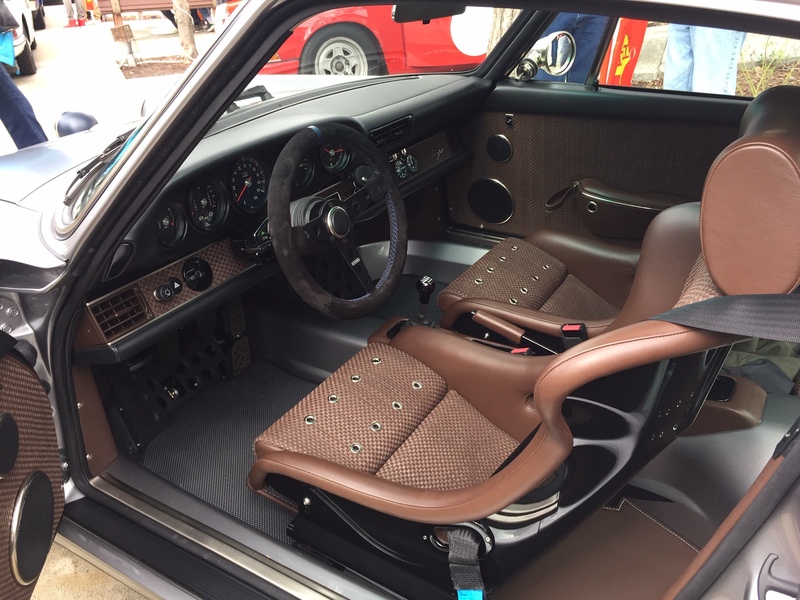 Table top displays featured everything from used parts, NOS parts, reproduced new parts, interior pieces, literature, art work, memorabilia, books & magazines, virtually everything you would need for your Porsche. The afternoon was even more spectacular, it was an open house at Rod Emory’s shop in North Hollywood. 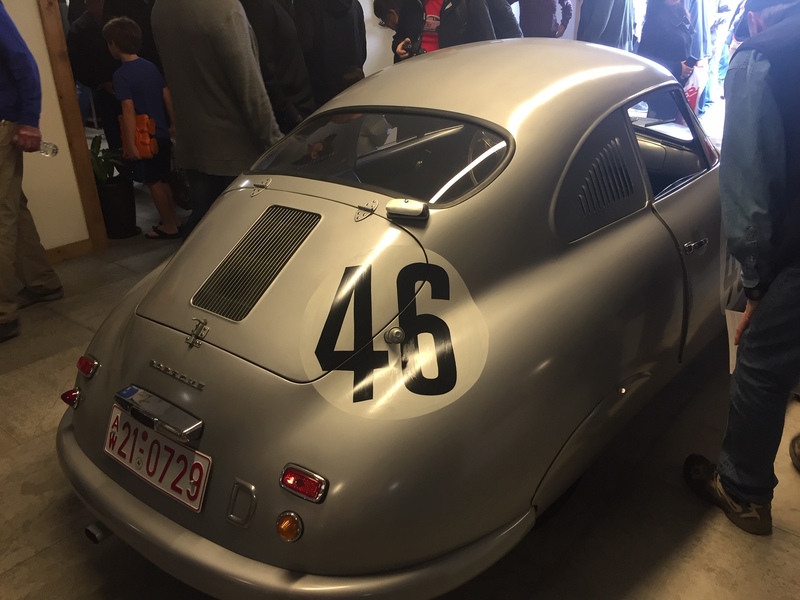 Those of you who read Excellence, Panoramaor any other Porsche related mags are familiar with Rod’s Outlaw 356’s and his recent total reconstruction of the first Porsche to race at Le Mans, this car was known as the Porsche SL. What we saw was beyond our expectations, he had 50 or 55 356’s in various stages of work, from raw material to finished product. 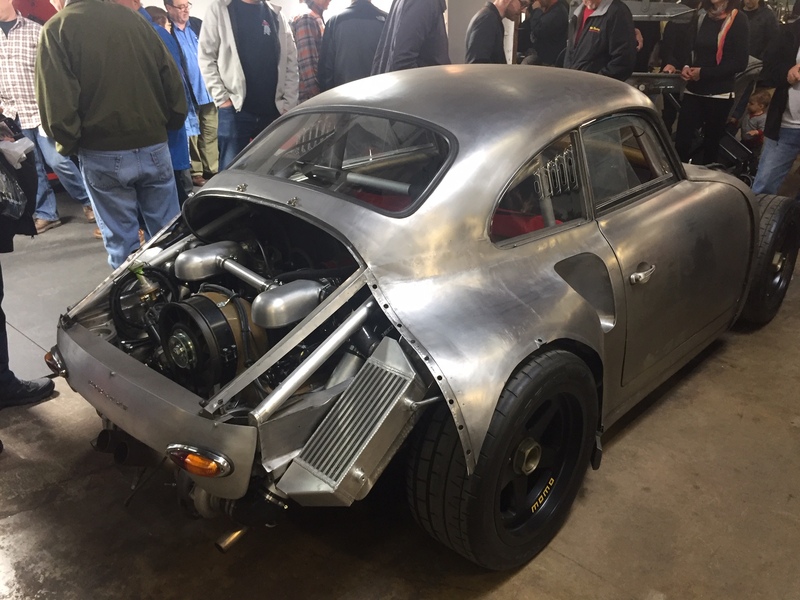 How about a 356 that you would expect to see running at Daytona with a turbocharged 4-cylinder 911 engine, built on a 964 type chassis and suspension? This was Rod’s first open house and they stopped counting at 2,000 attendees and they fed everybody who wanted to eat. 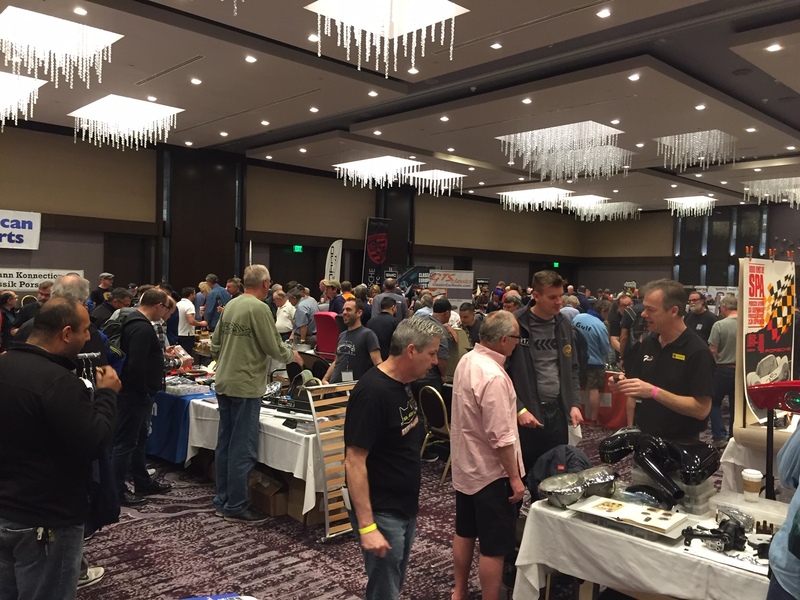 Sunday was the Swap Meet at the Phoenix Center in Anaheim, this is an indoor / outdoor swap meet that includes many of the Hilton vendors but with outdoor spaces for parts & pieces. 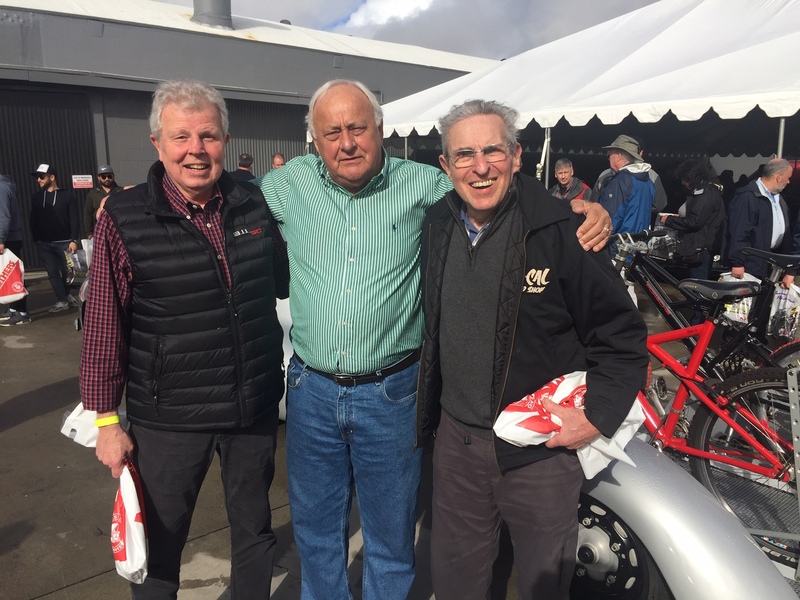 But the best part is the car corral that, this year, included a Porsche 550 Spyder and THREE Singers, as well as a great turnout of early 911’s and 912’s and the newer water-cooled Porsches. Next year, the dates are March 5, 6, 7 & 8 so plan to attend. Booking early as always a good idea to assure a room at the Hilton. Also, watch the Stoddard website for details, hope to see you there, it’s a trip to remember.